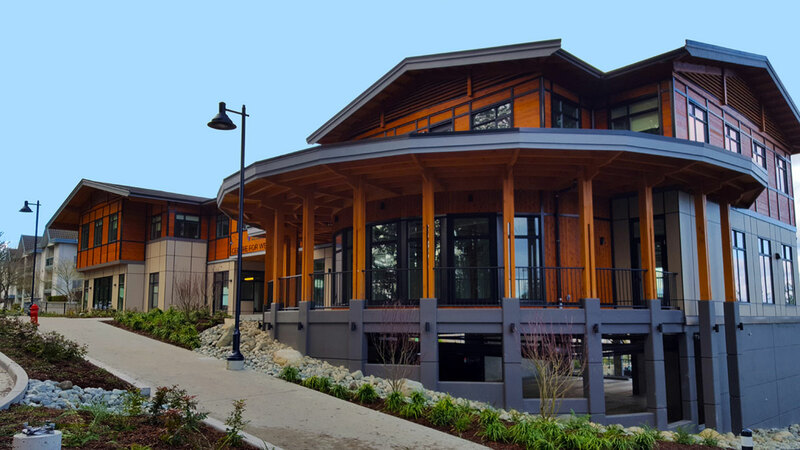 The Pacific Centre Family Services Association building on Goldstream Avenue in Colwood has been recognized as Greater Victoria's best new community-institutional building. The Victoria Real Estate Board presented the award at the 27th Annual Commercial Building Awards on November 7th. Expansive gable roofs emulate both First Nations long houses and 20th century bungalows. Cedar siding and exposed fir timbers celebrate the west coast and the local tradition of craftsmanship. Extensive landscaping helps to create an atmosphere of beauty and tranquility. Inside, clear wayfinding and private, easy-to-find entrances make the building feel safe and welcoming for those who benefit from the services of Pacific Centre Family Services Association. The non-profit organization provides vital mental health and wellness services for youth and families in our community. 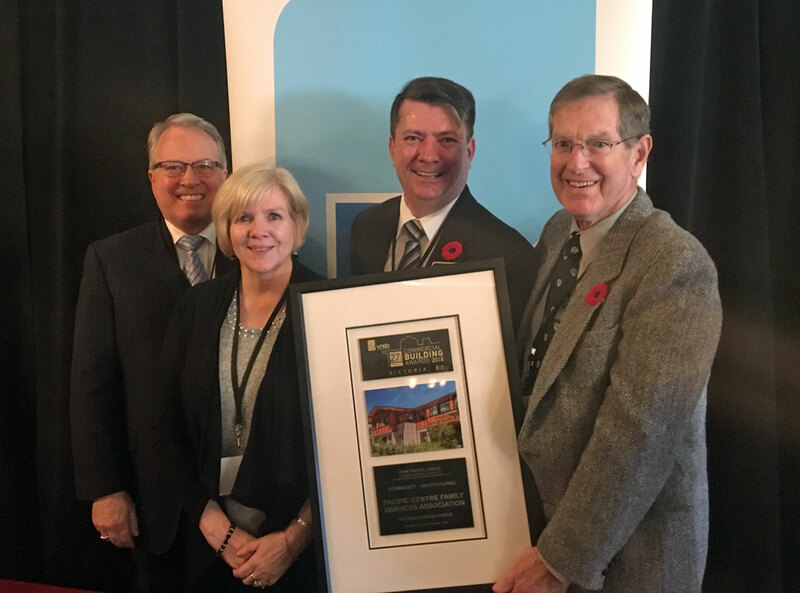 The award was accepted by Jeffrey Simpson of Kaizen CRE Solutions, PCFSA Executive Director Deborah Wilson, Colwood Mayor Rob Martin, and PCFSA Board Chair David Bennet.